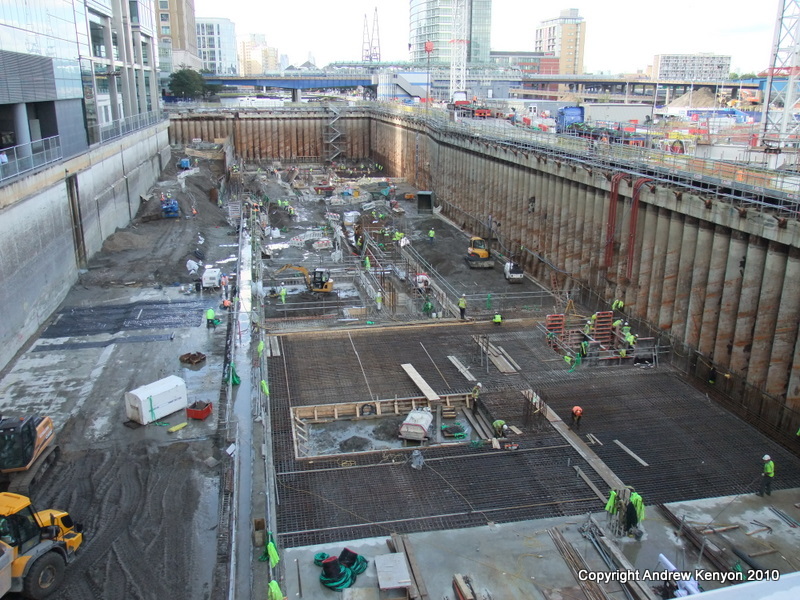 I was up at Canary Wharf for a client meeting today and I took the opportunity of taking a peek at the works to construct the new Canary Wharf Crossrail Station. 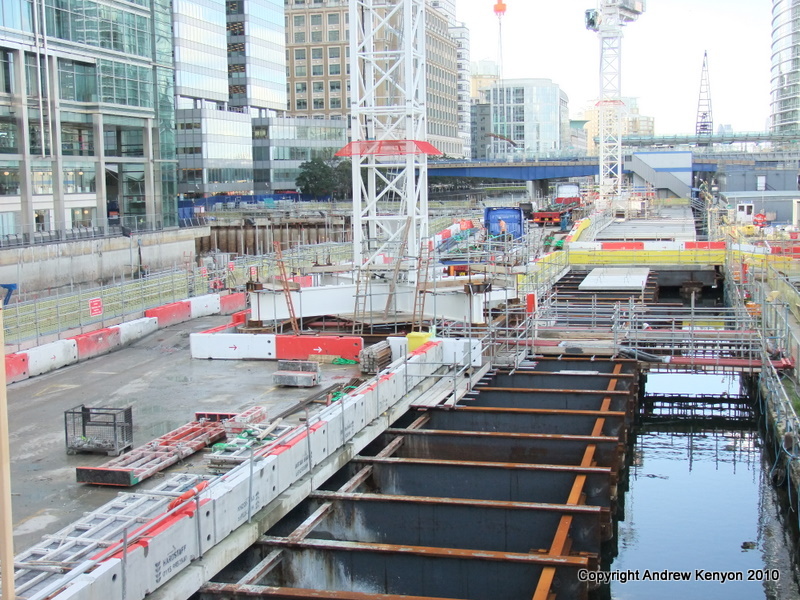 The works officially started in May 2010 with the installation of concrete piles. These piles form both the ground support for construction of the main station boxes and form the foundations onto which the new station will be constructed. The works have progressed rapidly and the piling has recently been completed. 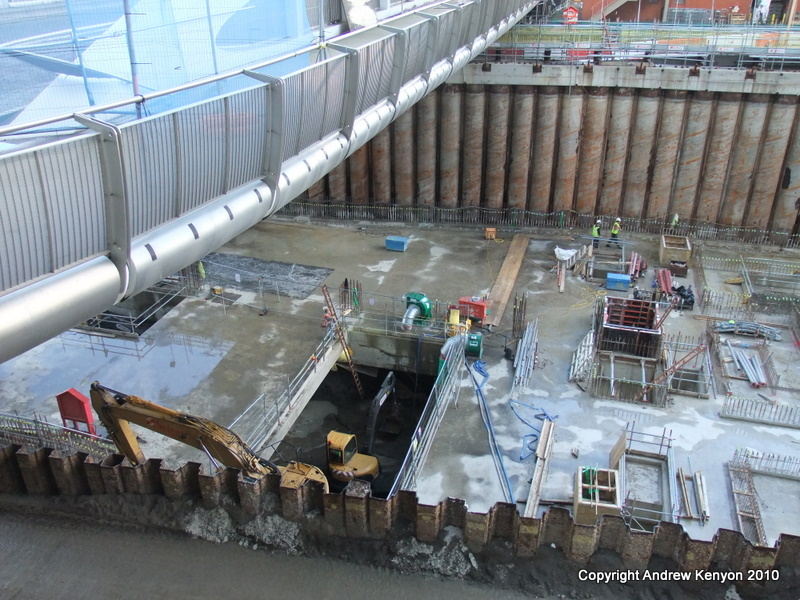 The works appear to be currently focused on forming an intermediate level floor slab at a level around the level of the bed of the existing docks. The station will then be constructed top down from this level and I guess at some stage bottom up from this level. This allows the station to be constructed in the shortes possible timeframe.